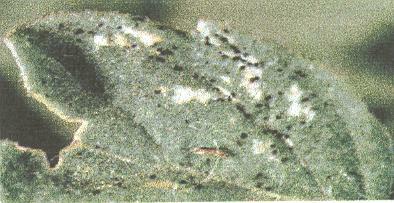 desiccation of leaves and damage to flowers and fruits. Thrips can also transmit plant diseases. most damage occurring on new growth. They are only 1/12"